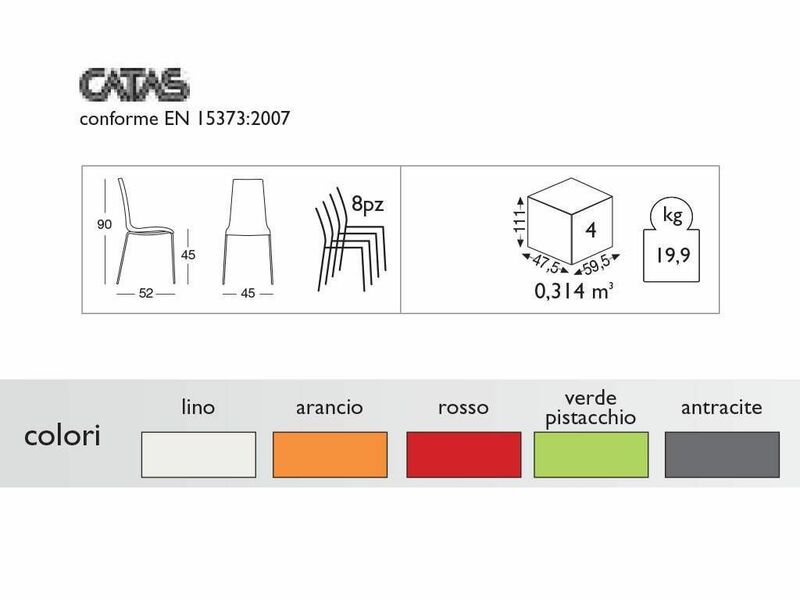 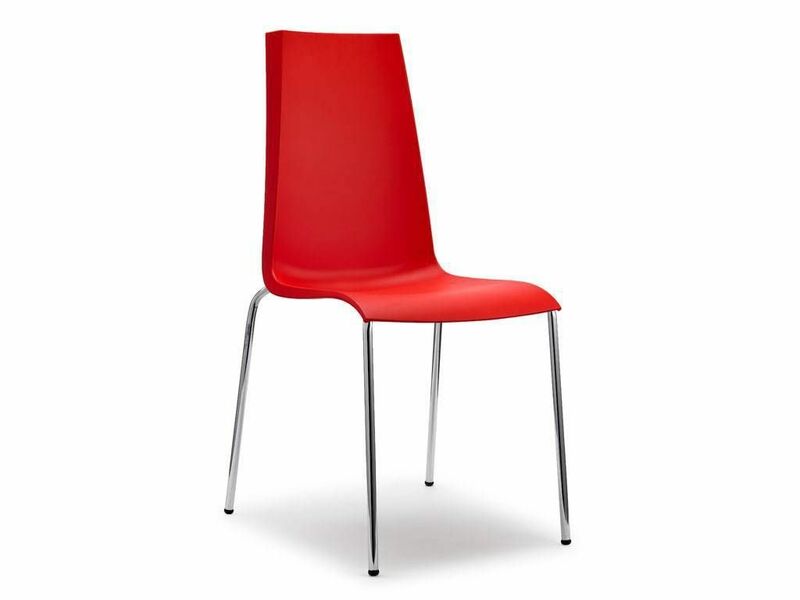 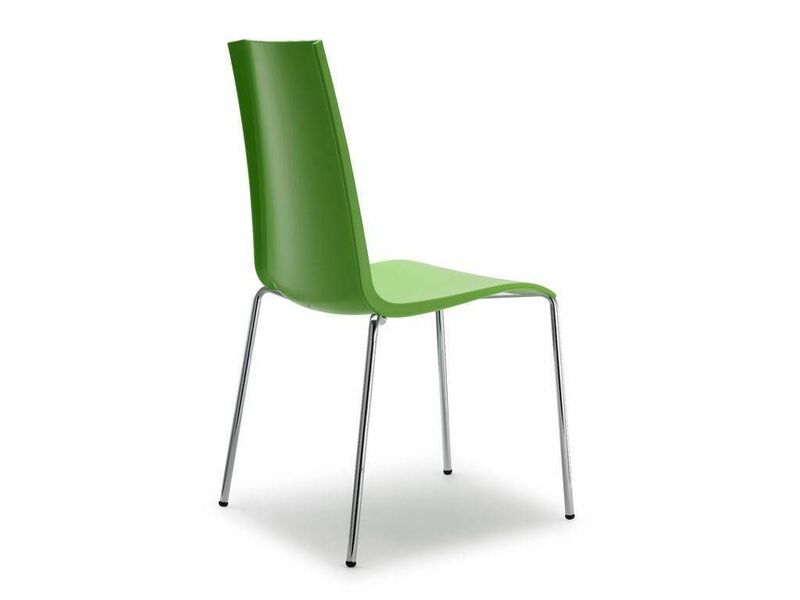 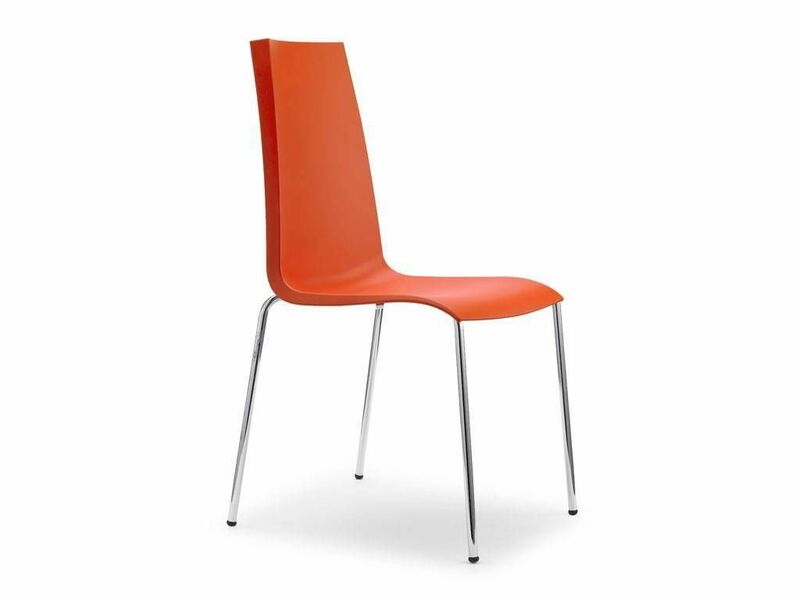 Polypropylene seat, recyclable, available in different colors. 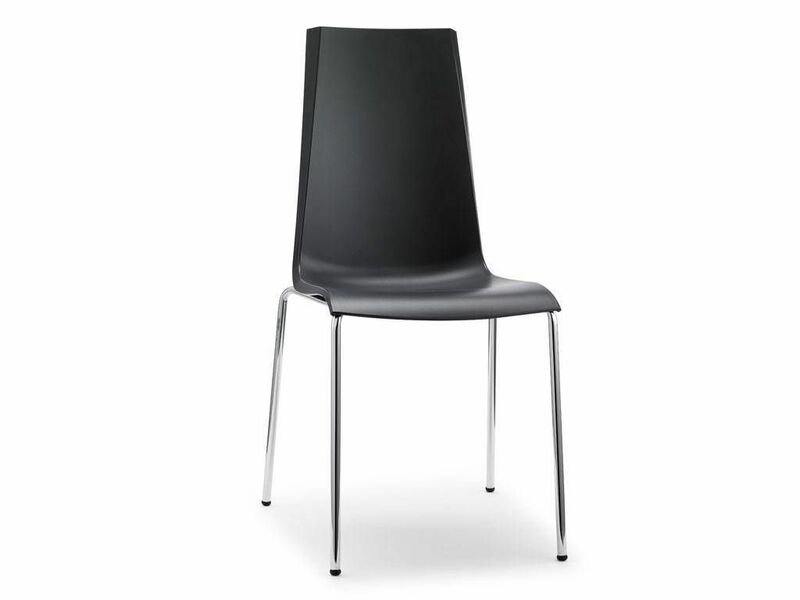 Simple and linear lines, his minimal taste makes this chair suitable for every context. 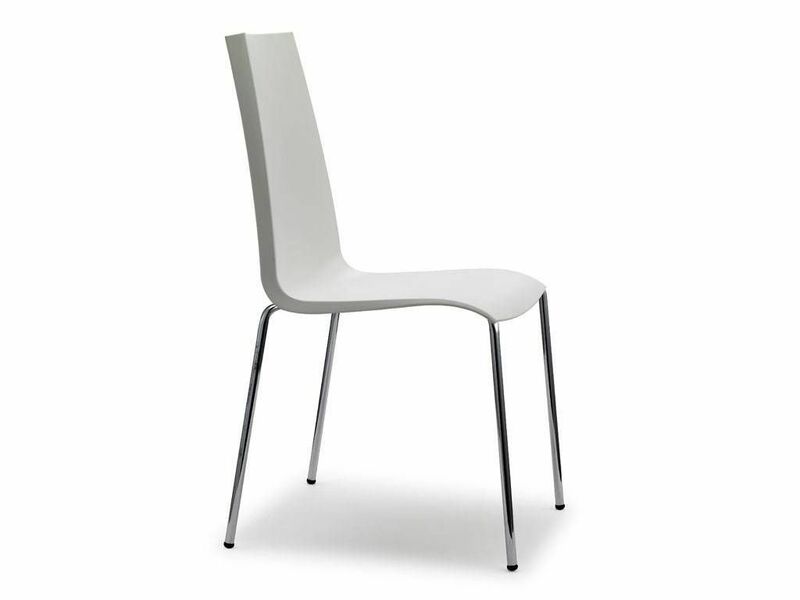 Structure 4 chromed tubular steel legs.